Happy Mani Monday! This is actually a picture from a few weeks back that I forgot to share, but really loved! My nails were bare except for one coat of Julep's Oxygen Nail Treatment (my fave!) and at the tips I added some triangles with Essie's Copper Penny (another fave!) I did them quickly, and they're not perfect, but I was loving this look! 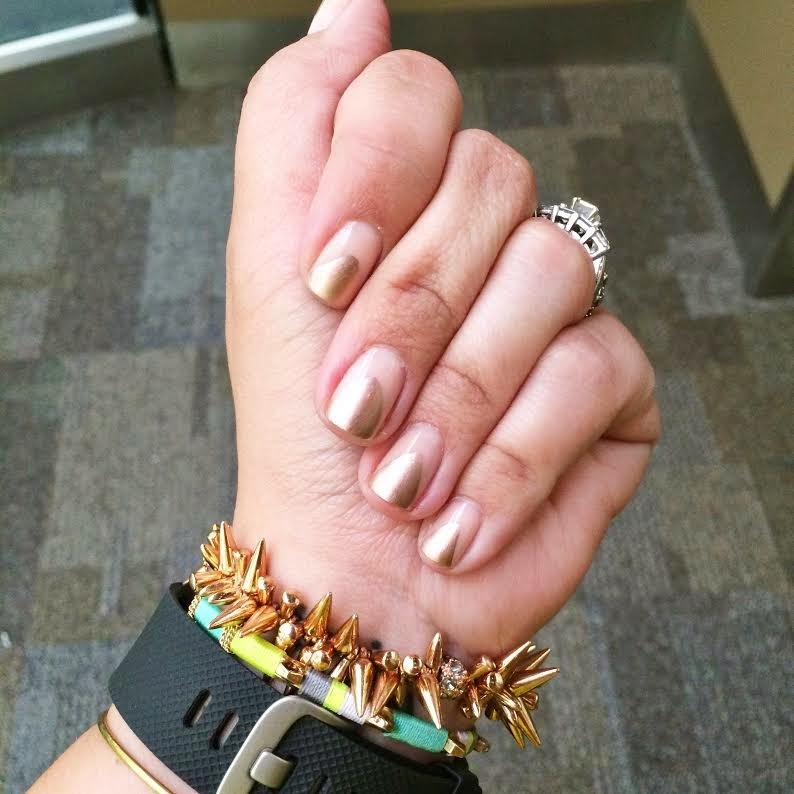 What nail trends have you been loving recently? ?